The chromium ore in industry refers to chromite which belongs to spinel and magnetite. For chrome mine crushing screening, we can provide you with chromite crushers, grinders, feeders, screens and conveyors. 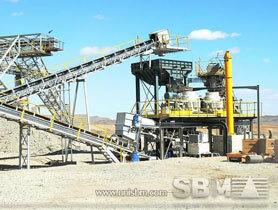 There are both individual chrome mine crushers and complete chromite processing plant for sale. Apart from stationary mining plant, you can purchase portable plant or mobile crusher plant here too. With the large demand for processed materials locally and internationally, and to meet the requirement of miners and quarries, we offer a complete range of fully mobile tracked crushers and screens. Throughout 30 years existence we have achieved continuous growth and sustainability in our business by providing our customers with high quality products and legendary after sales support. For any questions, contact us today. We will be always here to service for you. SBM has set the Chromium Processing Plant in South Africa and Pakistan. From the mining of chromium ore to the crushing, milling process, we design the whole Chromium beneficiation process for concentrate.